Where 30,000+ audio professionals share interactive audio ideas, news and beyond. This project started six years ago back in 2012 as an answer to our users requesting a more practical approach to learning Wwise. 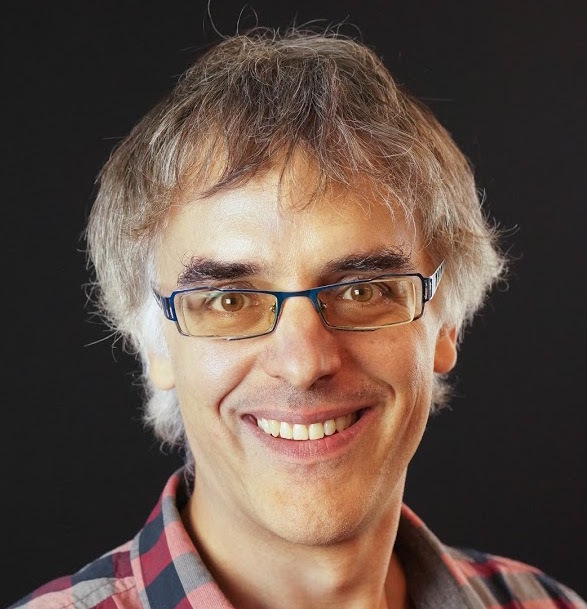 At that time, Damian Kastbauer had just finished a series of projects and was available and interested in working with us to develop what became the Wwise Project Adventure, a Wwise project full of audio examples and complemented by a 300-page handbook that guides Wwise users from the simplest to more advanced features in Wwise. The project was built with assets covering a fictional action-adventure game à la The Legend of Zelda franchise, something that most sound designers would have played at least once in their life. The Wwise Project Adventure has been a great help for many sound designers and schools, helping them master the craft of interactive audio using Wwise. I should say that, during all these years, I was nurturing this fantasy that, one day, we would have the opportunity to develop the real game, as imagined in the Wwise Project Adventure handbook. Enter, Mads and Jacob. Fast-forward to April 2016, Mads Maretty Sønderup and Jacob Lynggaard Olsen, two students midway through their master's degree at Aalborg University in Copenhagen, contacted us with the following opening line: “To complete our master's degree, we must complete a four-month full-time internship in the industry. We are composers and sound designers, we love Wwise, and we know how to code with Unity”. Let me just say that it took about half a second before my light bulb switched on. “Have we just found the individuals capable of developing the Wwise Adventure Game?” I asked myself, trying to ignore the butterflies burgeoning in my stomach. We went through their portfolio and found a number of impressive videos which sought to demonstrate the effect of music on a player’s behavior in a game they had developed with friends using Unity, and in which they introduced procedural code and many other bells and whistles. We interviewed them through Skype, and they promptly convinced us that they were the perfect fit for this project. 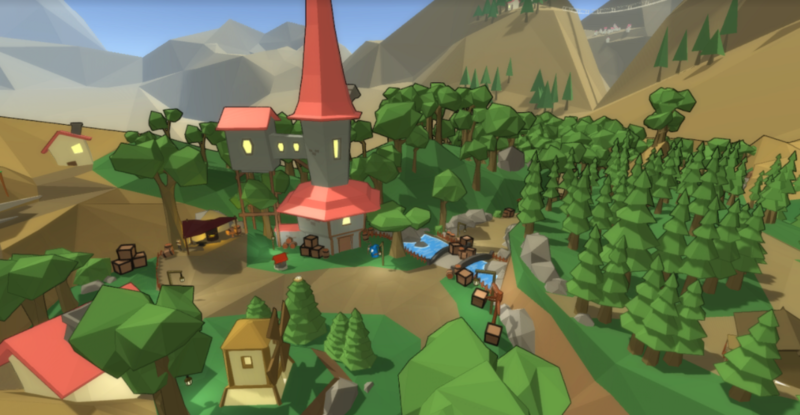 We wanted to build a game containing typical ingredients found in classic action-adventure games. It had to cover as much useful content as we could while being small enough to complete in such a short duration and with a small team. It also had to become a great platform to learn Wwise. 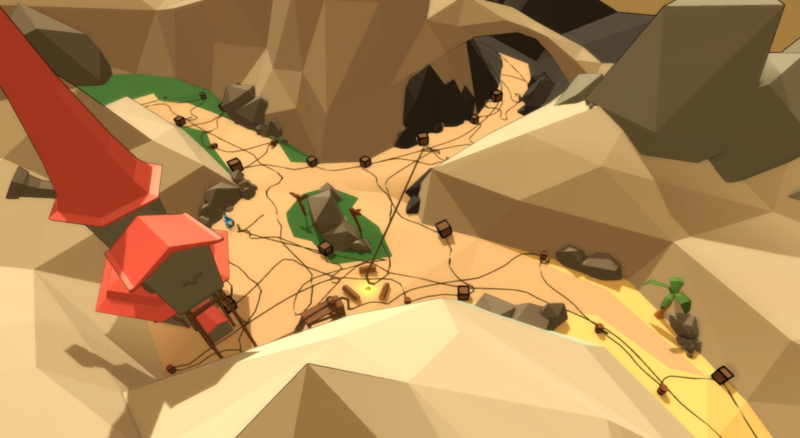 Starting with the level design, they built a series of exterior and interior locations such as a village, a forest, a cave, a library, a desert, and more. The player controls a young adventurer who enters the village of Allegro Kingdom to find the Blacksmith who provides some of the weapons needed to defeat the plague inflicting the area, and the Wwizard who sets the backstory and provides the adventurer with a series of quests. During the game, the adventurer has to defeat different enemies, collect keys and other items, unlock rooms, and eventually, destroy the Core, the source of all evils scourging Allegro Kingdom. As you might suspect, it’s not a common endeavour for Audiokinetic to develop a game. So, now that we had the chance to build one, we set many objectives. It would be a sample game for Unity users to learn how the Wwise integration works. It would be the foundation for two new certification courses. The game would run on desktop but also on iOS and Android devices for developers to evaluate Wwise performance on such devices. It would also showcase Wwise spatial audio features integrated in Unity. 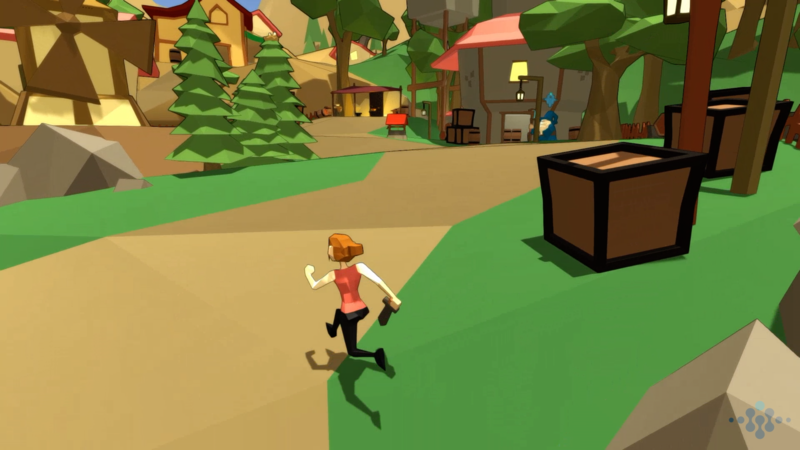 In the making of the game, we also deliberately introduced many Game Syncs ,such as time of day, destruction level, and player health, to serve as good opportunities for students to modify the sound design with different ideas and aesthetics, while learning Wwise. I believe many schools will appreciate WAG as the game to teach interactive audio with Wwise. After many months of hard work, this certification is finally ready and will go live before the end of this month! Demonstrating optimization techniques requires more than what was covered in the Wwise-101 and Wwise-201 certifications. Optimization can be a much more abstract concept than building audio structures and events. So, this certification covers topics such as conversion settings, effect optimization, platform customization, SoundBanks granularity, voice management, and much more. We hope that it will help any game developer to squeeze more quality content into the same tight memory and CPU space they have reserved for audio. This is the next certification that we just started working on and should be released during the summer of 2018. Its goal is to teach how to use the Wwise integration for Unity. 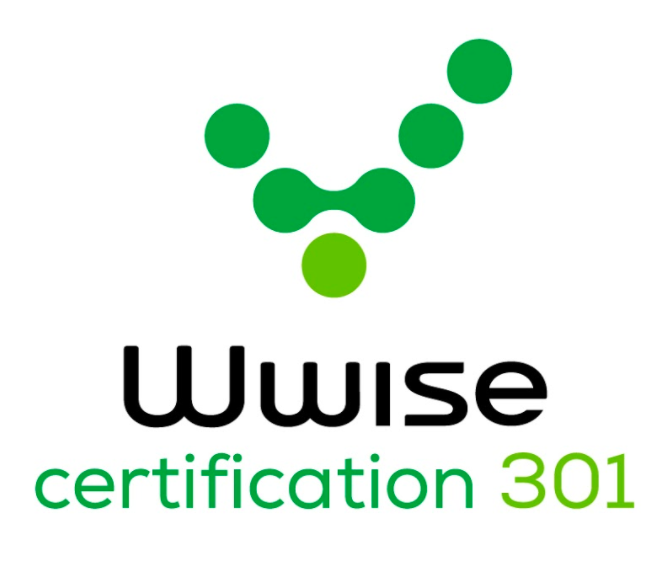 As a three hundred level certification, it’s assumed that its students already know Wwise and, as such, the bulk of the 301 content stands in Unity. The users will be tasked to use and modify Unity components, create custom scripts, use Wwise-type, optimize data management, etc. With the Wwise-301, we hope to bridge the gap between authoring in Wwise and the sound integration at the game engine level, something many designers have requested from us in the past. Upon completion of the Wwise-301 Certification, sound designers should have the foundation to be proficient enough to work on their next Unity game, and will be able to handle the bulk of the audio integration themselves. The level design has been built with our developments in spatial audio in mind. As such, we will add rooms and portals in a future release of WAG to showcase sound propagation. We’ll probably also add Wwise Reflect to showcase geometry-informed dynamic early reflections running in Unity. The Wwise Audio Lab, built with the Unreal integration, is already great for testing spatial audio features, but providing this ability in WAG as well, will allow us to test how they adapt to a 3rd person perspective game, and show how they are exposed in Unity. I’d like to thank Mads Maretty Sønderup and Jacob Lynggaard Olsen again for the enthusiasm and devotion they put into this project. You guys went above and beyond our expectations so many times and you made this project something tangible which thousands of people will use for many years to come. Like any game in development, there were some bumps in the road, but you kept working hard, finding solutions and clever workarounds. And, did I mention that the music you wrote and implemented is great and really fits the game well? A special mention to Julian Kwasneski and his team from Bay Area Sound for designing the sound effects and ambiences for the game. They had created the audio content for the original Wwise Project Adventure Handbook, and they decided to pursue the journey and extend the content for the game. Thanks guys! Thanks to Damian Kastbauer as well, who also invested time in this project liaising between Bay Area Sound and the development team. And, an immense thank you, Damian, for the initial work back in 2012 with the Wwise Project Adventure Handbook. This book has been the inspiration for WAG and an invaluable tool, the last six years, to many schools around the world. Of course, I’d also like to thank the people at Audiokinetic who supported this project. Especially our QA and Game Integration teams who got their hands dirty in the code and certification content, and Myriam Pelletier who helped in managing all those pending tasks and other administrative work, making sure we ship on time. Kudos to everyone! You can download WAG from the Wwise Launcher! Co-founder of Audiokinetic, Ashby is responsible for the product development of Wwise, now powering hundreds of major titles per year, and empowering thousands of users around the world from Indies to AAA teams. Prior to Audiokinetic, Ashby worked as a Senior Sound and Game Designer on several games. With his vast industry experience, Ashby is a frequent lecturer and panelist. His main theme is often on, the role of sound production and integration within the overall experience of video games. In 2011, Ashby was honoured with the inaugural Canadian Game Development Talent Award as the "Audio Professional of the Year". Unleashing the Wwise Integration in Unity: Wwise-301 Certification is live! Subscribe to our blog for the latest in interactive audio!